Down to business. Off-season training rolling along? This is the time of year that concerns me. It is only March turning into April and I see way to many football players, mostly high school and younger waisting their time doing essentially bodybuilding workouts. Please if you can get some help from a pro; you will not only give yourself a chance to play varsity, but more importantly get your body ready for the pounding. Mom and Dad don't really want to put healthcare reform to the test! Friday-Legs. 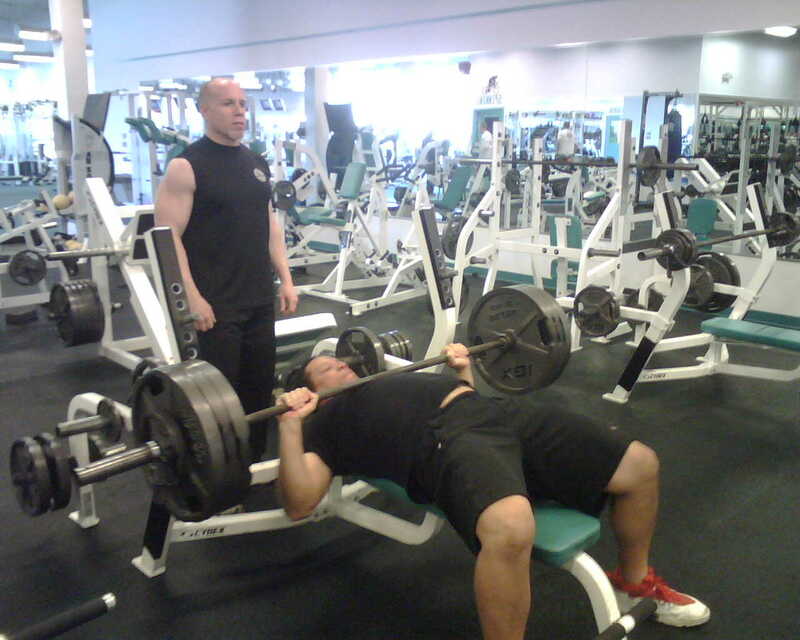 (The how and what can be acquired at US Sports Online Strength and Conditioning). Tuesday And Thursday would be set aside for speed, agility, and quickness (SAQ) training. I know there is a movement afoot to try to do it all in each workout. Let me preface this next statement by stating that I am a certified strength and conditioning coach with 35 years experience. The combined strength and SAQ with cardio thrown in workouts are OK, but [which means 'zero' eliminating the previous statement] with the athletes that I have helped improve; who have focused during the off season on weight lifting on weightlifting days. SAQ on SAQ days have not only improved in all physical areas, but have in comparison avoided and recovered from injury faster than those doing the combo workouts now made popular by the crossfit phenomenon. Not bashing the crossfit idea mind you just an informal observation. So get to cracking now before the pads crack in August. Now I am aware of this little economic situation that many of you and your parents may be experiencing. Maybe a professional strength coach is not in the budget. So you may ask: Nate what can I do? Well there are many good resources on this 'internet thing' that are available to you. Ranging from free to a small fee. So now you may ask: Well Mr. '35 years of strength coaching experience' what do you recommend? Funny you should ask! To help athletes like yourself or your sons or daughters, I started the US Sports Online Strength and Conditioning System. Click 'dat' link right 'der' and I can design and deliver your program online and you can take this guide to sports greatness....Ok at least getting into better shape for your sport, into your gym as early as tomorrow! Oh yes Mom, Dad, it is only $15 per month. Tiga', Tiga' Tiga' Woods Ya'll! Oh let the Shizzle Hit The Fizzle! [that one was for the kids]. 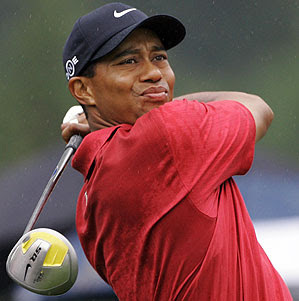 Tiger woods will come back and be on the links which is the only place I want to see the world's greatest golfer. I heard a radio host this mornings state that he has lost is iconic status. GOOD! Because if his name is not Jesus Cristo Rey then he can't be my role model. I can however appreciate his God given talent to put that little ball in that little hole better than anybody in the world. So hate if you want to. I will appreciate as that is healthier for moi! Me! That's right yours truly who normally only likes 'playus' wit 3.9 40's and 100 inch verticals, will now go officially in the Tank for the 'Teebster'. Not because he arguably was one of the most successful QB's to play the college game, not because he floated like a butterfly and threw (with a long release mind you) a stinger like a mutated Killer Bee. 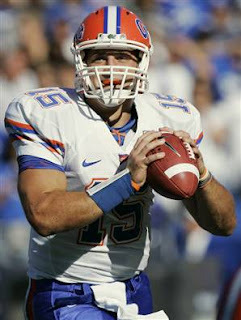 He ran for 57 TD's and was one of the most prolific of rushers in SEC history with over 3000 yards. But those are not the reasons I have decided to give my unbridled support to the "..Bow". Nah the main reason is you, and you, and especially YOU! The haters. Why is it that when most people in the public eye who profess their faith and act on it become the object of scorn, jealously, envy, and unprovoked hate? Makes me ponder first who have I been hating on and how can I get over it. No worries friends, I don't hate any of you, I would just like to open the discussion. What would be so wrong with Tim Tebow fulfilling his dream of playing the NFL and using it as a platform to be an instrument of God's love for all people? Even you! Now mind you at this point I wouldn't want Tim Tebow as QB of my Raiders, but then again exhuming Sammy Baugh would be better than what we got in Russell. No hate just fact. Anyway I personally am hoping that Tebow becomes a hall of famer and proves the critics wrong to the point where a non-believer may say: "There is a God afterall"